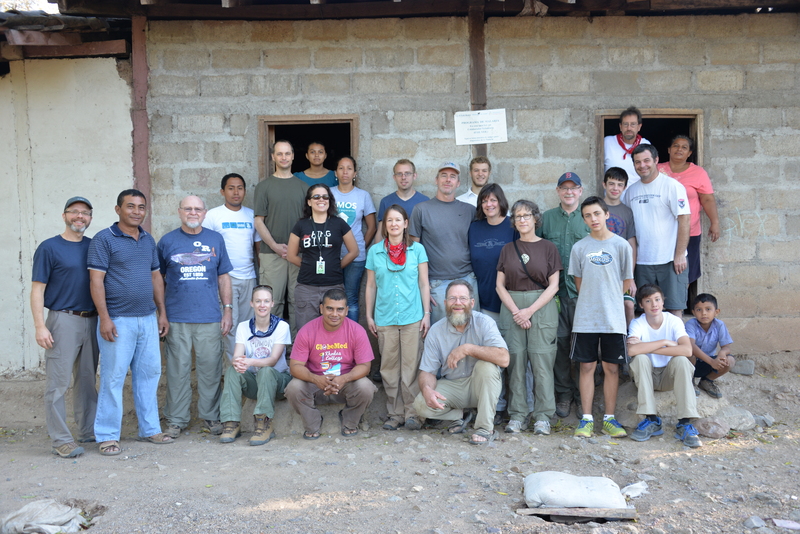 For ten days in January, 15 people from McMinnville, Oregon travelled to La Pimienta, an isolated village in Nicaragua. Our age range was 13 – 77. We partnered with an amazing health ministry called AMOS (A Ministry of Sharing). AMOS works with 32 isolated communities to provide basic, sustainable health care. AMOS only helps if requested by the community and only after the community elects a health committee and health promoter to work with the staff. The model is intended to build upon the capacity of the local community to improve their own health. For the past five years we’ve sent a team from the church to work under the guidance of local leaders. This year we built and installed 39 bio-sand water filters and did health screenings and home visits. Dr. Marcy a pediatrician, has visited the village four times and has seen a significant improvement in the health of the children. It is amazing how God leverages the humble efforts of village leaders, with AMOS staff and a modest size church in Oregon, to bring about a synergy that saves lives and offers hope. I go for selfish reasons. Yes, my/our efforts help some. But we who go are inspired by the hope of the villagers who work towards a better tomorrow for the sake of their children. If they can do so much with so little, how can we not return to our relatively affluent communities and work for the common good? It is amazing what happens when we leave our comfort zone and make new friends and face new challenges in a place like La Pimienta. God has a way of expanding our hearts and imaginations as to what is possible. Kent, what is most exciting about this is that it is essentially a local effort assisted by “outside” ministry. Instead of swooping to “save the day”, you’re attempting to allow them the dignity of self-care. It’s a far better long term solution. Good on ya. Praise the Lord!